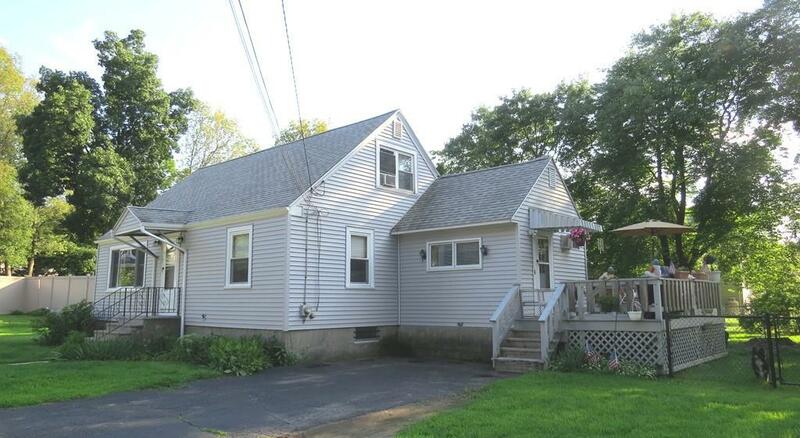 Prime location to raise a family on cul-de-sac area handy to UMASS Medical and new Whole Foods plaza! Updated kitchen has granite counter tops, stainless steel range & refrigerator, tile back splash & pergo flooring; Updated bathrooms, Family room addition w/ A/C opens to kitchen, 1st floor master bedroom, natural woodwork, classic hardwood flooring, partially finished basement with wet bar, formal dining room or 4th bedroom; 2017 vinyl siding, 10 year roof, thermopane windows, Weil McLain boiler, replacement oil tank, circuit breakers, extra storage in 2nd floor walls & storage area under family room; 10 x 15 deck overlooks wonderful level fenced lot! Municipal electric & cable service. Listing courtesy of Doug Stone of Re/Max Best Choice. Listing provided courtesy of Doug Stone of Re/Max Best Choice.